Named after Lord Charles Somerset in 1819, Somerset West has thrived and is now the commercial and residential capital of the Helderberg Basin whilst maintaining its village atmosphere. Lying on the slopes of the Helderberg, the town is 6km inland from the False Bay coast and the resort towns of Strand and Gordons Bay, is 20km from Stellenbosch and its wine route, a mere 35 minutes' drive to Paarl, Wellington and Franschoek and forms an integral part of the Winelands Region. The entire region is renowned for its scenic beauty, flora and fauna, wine and fruit, gastronomic experiences, friendly hospitality and historical heritage. Somerset West caters for all sport lovers with 3 golf courses (including the renowned Erinvale), a country club, soccer, croquet, bowls, squash, tennis, cricket, hockey, a pistol shooting range and golf driving range. The Helderberg wine route is part of the greater Stellenbosch wine route and incorporates wine estates from 10km out of town, the oldest wine co-operative in the country, a brewery and wine estates bordering on the town. About 15km from Somerset West on the N2 is the fruit route which starts at Elgin and the coastal Cape whale route to Hermanus. Whether on holiday or for business travels, browse Somerset West Accommodation listings to find your ideal accommodation. Why consider orthopaedic and shoulder treatment in South Africa? 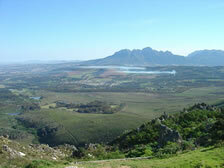 Firstly South Africa is a beautiful place to visit. Secondly exchange rates are usually very favourable. Thirdly the entire cost of major shoulder procedure, per se, including a holiday may cost you less or only marginally more that the same treatment at home. Fourthly the expertise and equipment we use is second to none in the world.